The TYCA March Camp will focus on 3 mains areas: Environment, Science & Technology, and Cultural Exchanges. 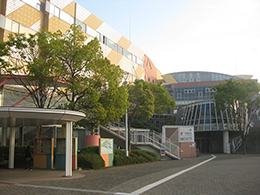 The National Olympics Memorial Youth Center (NYC) is located ten minutes away from Shinjuku and nature-rich Yoyogi Park and Meiji Jingu Shrine. Click here for information on the E-Journal.